Hosted Desktops for UK IT Resellers - No.1 Dedicated Provider! No.1 dedicated UK hosted desktop provider to IT resellers - start growing your business today! GoCloud's virtual hosted desktop gives you a great opportunity to resell cloud solutions under your own name and using your own branding. Keep your customers. Grow your revenue. Increase your profits. 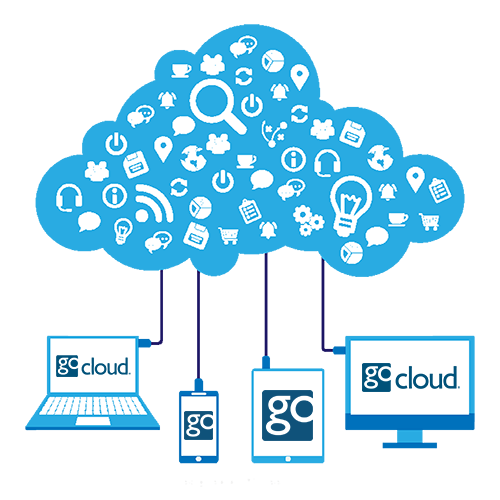 GoCloud's Partner Programme can provide you with all the tools you need to compete in the cloud computing market. Ready to resell virtual hosted desktops? Register for free or watch the video to learn more. Learn how to quickly grow your business by joining the GoCloud hosted desktop Partner Programme today. Free setup. No commitment. Benefit from offering your clients one of the most configurable and secure virtual cloud desktop solutions provided in the UK today. GoCloud work exclusively with IT and telecoms resellers. We never provide direct to end users, meaning we are committed to your success. Discover how your your clients can benefit from an industry standard cloud solution, co-designed by HP and hosted in UK data centres. GoCloud partners benefit from an extensive range of marketing resources and sales support to ensure their success as a cloud VoIP & desktop reseller. Your dedicated GoCloud Account Manager will be on hand to assist you in all aspects of the sales process, from generating new business leads through to designing your clients' solution. 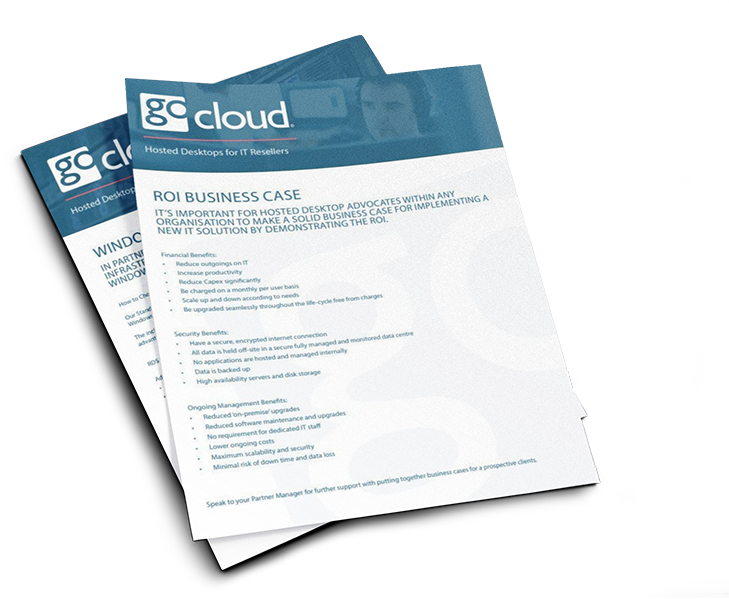 By selling exclusively through IT resellers, the GoCloud team are 100% dedicated to the success of our partners. 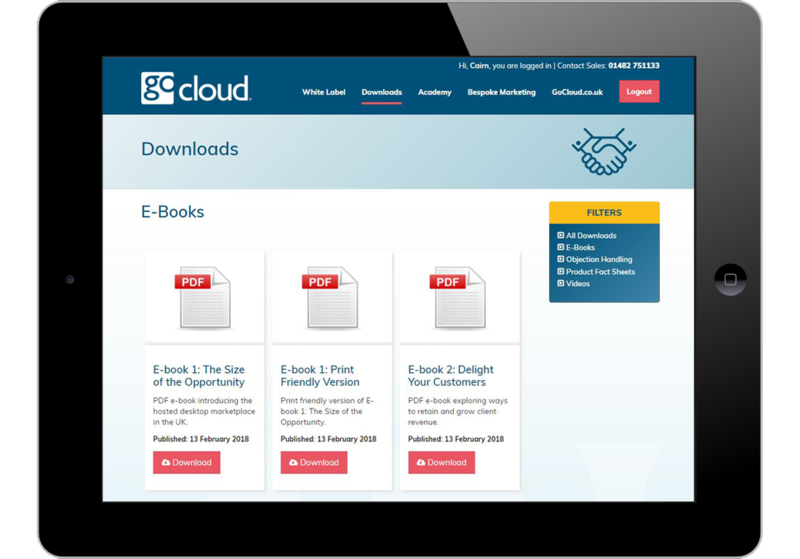 After registering as a GoCloud Partner you will receive a range of high quality white label sales and marketing tools, already branded with your company's logo and colour scheme - free of charge. The level of support we provide our partners truly sets us apart and makes GoCloud the UK hosted desktop provider of choice. The GoCloud Academy is your guide to reseller success, offering you the quickest route to learning the skills and techniques that will help you make your first sale, and continue to make sales. The GoCloud Academy will guide you through every step of the sales process - no past experience is required to succeed as a reseller. Hosted, virtual, cloud. What's the difference? It’s a good question with a simple answer; not much! The three terms are often used interchangeably, but there are subtle differences between cloud desktops, hosted desktops and virtual desktops. A hosted desktop is an IT solution that allows individuals to access their desktops from any internet-enabled device, anywhere in the world and be able to work as if they were using a traditional desktop. Their programmes, apps and level of personalisation would be consistent and they’d be able to work without readjusting to a new desktop environment. A hosted desktop is more specifically “hosted” by a third party – not an internal IT department and not stored in a generic “cloud”. It’s the quality of the hosting that provides the client with the services, security and reliability they experience. Hosted desktops are an excellent choice for SMEs thanks to their security, flexibility and scalability. A hosted desktop solution provides a cost-effective way to provide a mobile or expanding workforce with a consistent and high-quality IT network. Instead of high capital outlays on hardware and software that quickly obsolesces, a hosted desktop allows the client to make a manageable monthly payment. In return they see cost savings associated with reduced power consumption and a more scalable IT infrastructure. Hosted desktop solutions are ideally suited to organisations who are growing rapidly or who have seasonal fluctuations in demand. It’s simple to add new users to the system without high on-costs or the fear of unused licences and hardware gathering dust should things quieten down. A cloud desktop is a generic term for the IT solution where an organisation’s apps, programmes and files are stored in a data centre, rather than in an office. Employees can access their desktops from any internet-enabled device, anywhere in the world. Sometimes used as a synonym for virtual desktops and hosted desktops, cloud desktops mean home screens, programs and apps look familiar no matter which device they’re accessed from. Because the term cloud desktop is so generic, it’s important to be clear about the specifics provided by someone offering cloud desktop services. Anyone with good IT knowledge could set up their own cloud desktop. For instance, with enough knowledge, equipment and space, a group of enterprising teenagers could set up a cloud desktop. Similarly, an SME could set up their own cloud desktop solution. Disconcertingly, security risks may only be visible after a data breach, by which point it’s too late to act. The ingenuity of hackers and increased accountability resulting from GDPR legislation means data security is increasingly paramount. For satisfactory service and security, it’s important to ensure a cloud desktop solution is appropriately managed. Co-designed with Hewlett Packard, GoCloud’s hosted desktop solutions are amongst the most configurable and secure in the UK. They also boast an impressive 99.9% uptime – meaning you and your clients can rely on GoCloud for network support day in, day out. A Virtual Desktop can be one of two things. It can refer to a branded Microsoft product, but more usually refers to the type of IT solution that lets employees access their desktops from any internet-enabled device, anywhere. Very similar to a hosted desktop, a virtual desktop means home screens, programs and apps look familiar, no matter which device they’re accessed from. The ability to enable business continuity no matter where or when someone is working means they’re increasingly popular. Virtual desktops are a more generic term than “hosted desktops”, because a virtual desktop may be created and managed by an organisation’s own IT department. In the case of very large organisations with a wealth of IT skills, this can make perfect sense because of the pre-existing infrastructure and talent within the organisation. 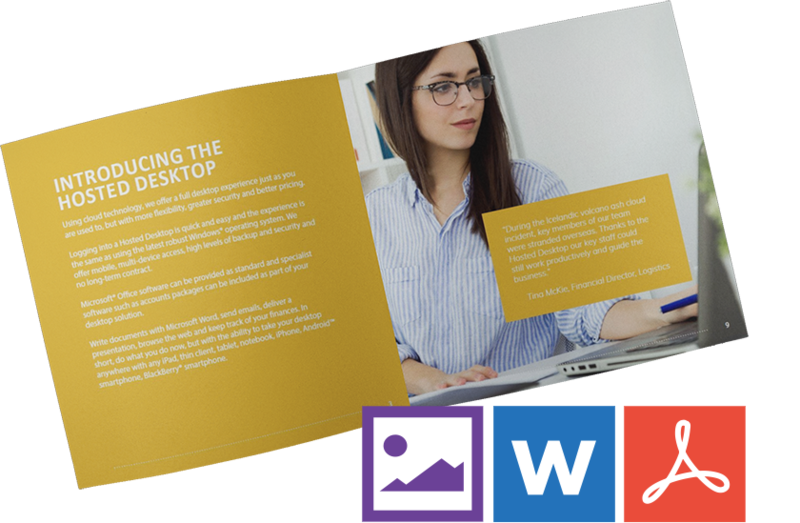 Whilst an organisation-led virtual desktop requires consistent resource and skills, a third-party hosted desktop allows any organisation to supply their team with a virtual desktop. 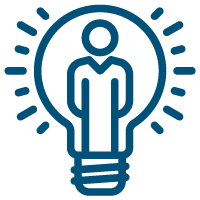 For smaller businesses this makes sense – there’s no upfront investment needed in software licences or costly servers, IT experts aren’t required; reducing headcount requirements, and flexible working is easy to manage - ideal for teams in multiple locations. Needing nothing more than a thin client, the enhanced security, cost reductions and ability for team members to switch between devices means a third-party hosted desktop is a natural choice for many SMEs. Increasing numbers of SMEs are re-evaluating their virtual desktops as a way of improving their cost-effectiveness and flexibility. Latest from the GoCloud blog. We’ve reached the final instalment of our mini-series Surviving Brexit – if only the Brexit negotiations were this straightforward. Before we dive into part 3 and explore the benefits of operating a flexible, agile business, let’s take a moment to recap what we’ve covered so far. In part 1 we looked at ways to secure the future of your business and the benefits of introducing a recurring revenue model. Part 2 discussed ways to mitigate risk by leveraging white label reselling and explored how you can help your clients do the same. The final piece of the puzzle in the journey to become Brexit-proof is to ensure your IT business is sufficiently flexible to respond to sudden changes in the SME marketplace. Keep in mind that business agility is likely to also be atop priority for some or many of your clients going into 2019. Whilst the impact of political and economic changes on a business can be minimised, therealities of change cannot be avoided altogether. We are undoubtedly in a period of change and it’s vital that businesses are well positioned to respond to both the threats and the emerging opportunities as they arise. There are lots of ways to make a business agile. For IT businesses it can mean aligning yourself with partners who can support you in accessing new markets, pitching for business, on boarding new clients and providing 3rd party support. For your clients it could be the flexibility to quickly scale their IT up and down as the business demands it or enabling remote working and BYOD for their workforce. It could be implementing enterprise level security and disaster recovery or improving speed to value. A hosted desktop solution delivers all these benefits and more for you and, also your clients who are looking for opportunities to gain a competitive advantage in a competitive SME marketplace. GoCloud ensures its partners’ success by helping them offer their clients best-in-class enterprise level hosted desktop and hosted VoIP services. The reseller programme is free to join and includes extensive white label sales and marketing support. Take 2 minutes and apply to join now and become a hosted desktop reseller.